Applications are open for the role of police constable in Sussex Police for the first time in two years. The force is looking to fill new positions, after the increase in the police precept, with passionate and dedicated people to serve the community. Chief Constable Giles York said, “Being a police constable is an incredibly challenging and rewarding job. They work closely with the community and undertake activities to help make communities safe, protect vulnerable people and reduce crime. “Following the Police and Crime Commissioner’s discussion with the Police and Crime Panel, to agree a precept increase of £5 for next year, I plan to recruit at least 70 new officers this year. 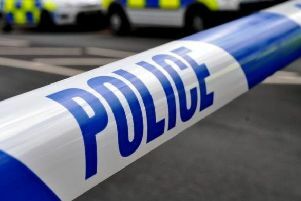 Sussex Police and Crime Commissioner Katy Bourne said: “I’m pleased that the Chief Constable is opening the recruitment window again for police constables in Sussex. “This follows unanimous support in January from the Police and Crime Panel when I asked them to consider my proposal for a rise in the amount people pay for policing to order to invest in digital forensics and in protecting vulnerable people from sexual and domestic abuse. The application “window opens on Monday, February 29 and will remain open, 24 hours a day, until midnight on Sunday, March 13. To find out about the process and what criteria an applicant must meet, please visit www.sussex.police.uk/policing-in-sussex/work-with-us.